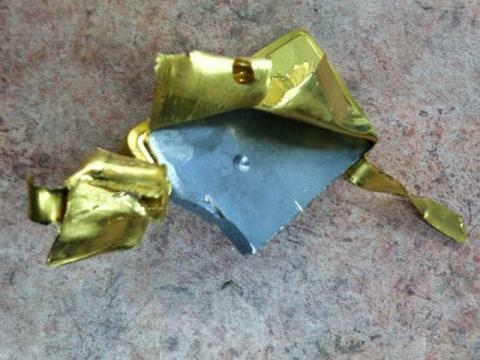 SNIPPITS AND SNAPPITS: TUNGSTEN FILLED 10 OZ GOLD BAR FOUND IN MIDDLE OF MANHATTAN'S JEWELRY DISTRICT! 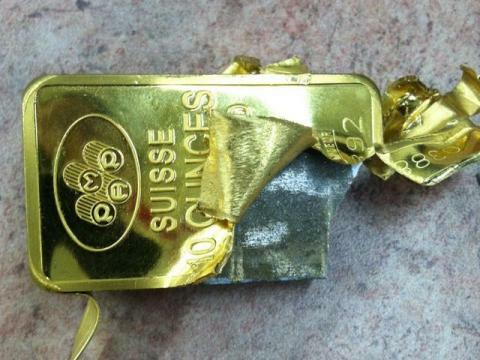 TUNGSTEN FILLED 10 OZ GOLD BAR FOUND IN MIDDLE OF MANHATTAN'S JEWELRY DISTRICT! I have reported on this particular scam a few times in the past years and been amazed at how few people paid attention. Mention this tungsten and gold to anyone and chances are they have brushed me off with “no not me” hubris. Perhaps it is time to check into your assets if you have them in this format. About two years ago, I and others in the real truth movement informed everyone of the discovery of Tungsten filled gold bars, and what that swindle meant for the trading of physical Gold and the entire Gold market. We warned everyone that the United States and several other countries were behind this dastardly deed, and had carried out this swindle for years... But the story slowly disappeared and there has not been any more reports about this crime.. Until NOW!! I want to present the following article from the Blacklisted News website, at www.blacklistednews.com, entitled: "Tungsten Gold Bar Found In Middle Of Manhattan's Jewelry District". It is one thing for tungsten-filled gold bars to appear in the UK, or in Germany: after all out of sight, and across the Atlantic, certainly must mean out of mind, and out of the safe. However, when a 10 ounce 999.9 gold bar bearing the stamp of the reputable Swiss Produits Artistiques Métaux Précieux (PAMP, with owner MTP) and a serial number (serial #038892, likely rehypothecated in at least 10 gold ETFs across the world but that's a different story), mysteriously emerges in the heart of the world's jewelry district located on 47th street in Manhattan, things get real quick. 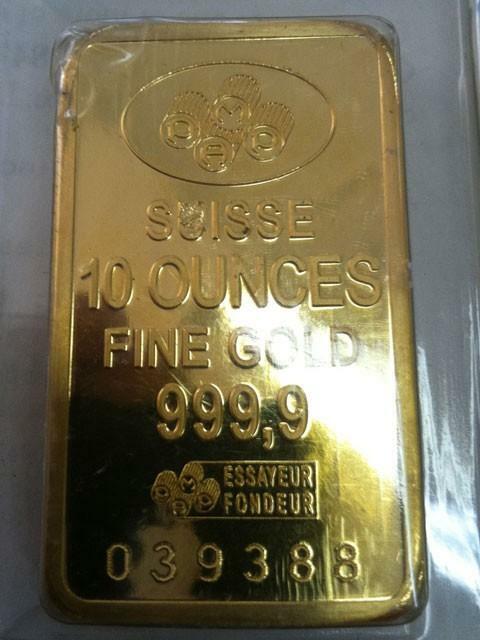 Moments ago, Myfoxny reported that a 10-ounce gold bar costing nearly $18,000 turned out to be a counterfeit. 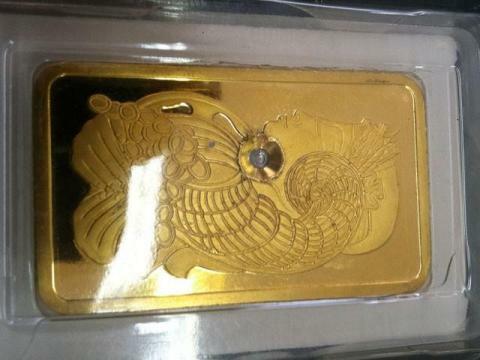 The discovery was made by the dealer Ibrahim Fadl, who bought the PAMP bar in question from a merchant who has sold him real gold before. "But he heard counterfeit gold bars were going around, so he drilled into several of his gold bars worth $100,000 and saw gray tungsten ~ not gold. The bar was filled with tungsten, which weighs nearly the same as gold but costs just over a dollar an ounce." MTB, the Swiss manufacturer of the gold bars, said customers should only buy from a reputable merchant. The problem, he admits, is that Ibrahim Fadl is a very reputable merchant. And cue panic on the realization that virtually any gold bar in the world, not just those in Europe and Australia, which have already had close encounters with Tungsten substitutes, but also New York may be hollowed out and have a real worth of a few dollars max. Which, sadly,, is fitting considering our main story from last night was the realization that an unknown amount of Chinese iron ore had either never existed or had simply vaporized, and was no longer serving as the secured collateral to various liabilities circulating in the electronic ether. After all, only the most naive out there could conceive of gold being sacrosanct when every other asset class is being diluted to infinity by a regime that has long since run out of money. All that said, with false flags rampant these days, we would not be surprised if this is merely yet another attempt to discredit gold, this time physical, as an undilutable medium of warehousing wealth. So buyer beware: in a time when everyone is broke, triple check before exchanging one store of wealth for another. NTS Notes: Well, it appears that we have been found right again, and the criminals who want total control of all the physical gold on the planet are conning the world again by using this diabolical swindle to create the false impression that there is plenty of physical gold out there, when in actuality there is not! I put it forward in previous articles that ALL physical gold in all reserves around the world must be immediately tested to verify that there is actual gold, and not more of these Tungsten slug filled bars. It is so sad that in spite of over two years of warnings that we are being conned by these fakes, NOBODY has put an end to this swindle, and we see the proof that this serious swindle continues to this day by this fake bar suddenly appearing in Manhattan, New York!